Dr. Dong currently serves as Vice President of the Geriatrics Committee of the Chinese Medical Doctor Association, President of the Geriatrics Committee of Sichuan Provincial Medical Association, Chair of the Geriatrics Committee of the Sichuan Medical Doctor Association, Chair of the Evidence-Based Medicine Committee of Chengdu Medical Association, and is a standing committee member of the Chinese Society of Geriatrics of the Chinese Medical Association. 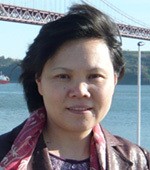 Dr. Dong has published more than 300 papers in Chinese and international journals, 66 of which have been included in the Science Citation Index. She has served as Editor and Associate Editor of more than 20 books. She has led more than 20 research projects supported by the Natural Science Foundation of China, the Chinese Ministry of Health, Ministry of Education, the China Food and Drug Administration and provincial authorities in China.